Tag Archives for " Marketing Tools "
Running a business is hard enough. Add in the need to market your business, and all of the websites, tools and tasks that come along with it, and it’s easy to get overwhelmed. A forgotten password here or a missed task there can completely derail your day. The truth is, sometimes tools that are meant to help can only add to your marketing exhaustion. Forgetting to check one program over another can mean you miss something, or maybe it will take more time than necessary when having to update several tools just to cover one task. I call this tool overload. Occasionally, I’ll find myself with so many tabs open on my browser I don’t even know where to start. Sometimes, when you become overwhelmed, it’s nice to know you have one place where all of your information is stored and secure, so you can take a step forward. 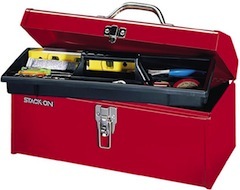 Here are 3 marketing tools you can use to avoid tool overload. My go-to tool for managing all of my tools and tasks is Asana. Here is where I store all of my tasks, and the information needed to complete the tasks. My team communicates with me and can check up on the status of tasks quickly and easily. It can even send you email notifications of when a task is assigned, completed or updated. The key to making Asana work without giving yourself tool overload is organization. 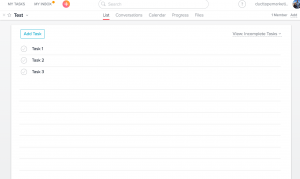 Asana allows you to organize your tasks in numerous ways. You can group them into a project with subheaders. You can even build tasks with subtasks. No matter how you think your tasks should be organized, Asana can do it. But, one of the best features of Asana is the due date system, that helps you create and keep deadlines, and even automatically repeat them for regular tasks. You can even organize your tasks by due date if, like me, you’re someone who works well on-deadline. As I mentioned above, there’s nothing that derails my productivity quite like a missing password. In today’s digital landscape, it’s super easy to segment tools and find exactly what you want to do the job you need. But that usually comes with a different login, password or username with each tool. If you forget the password, you end up spending all day searching for the correct password, hoping for a quick response from support, or giving up on the task entirely. LastPass collects all of your passwords and saves them, and all you have to do is remember one master password to access everything else. It’s super simple, easy to install and use, and saves you time and effort. Add in the browser extension, and your browser will automatically populate LastPass passwords when you’re on the site. Want extra security? LastPass can generate super secure random passwords. You can even share passwords with your team. I can’t remember the last time I had to remember a password. Hootsuite is the best social media management tool for a reason. It incorperates all of your social media into one powerful platform. Twitter, Facebook, LinkedIn, Instagram, and Google+ all in one place. It’s super easy to cross-promote across all platforms and update all of your pages quickly. Suddenly, a task that would require 5 windows open can be condensed into one. Do you suffer from tool overload? Do you have any marketing tools that can help? Let me know in the comments below! Whether you are trying to get better rankings in Google, spreading your message on social media or working on making your website more persuasive, the power of being seen as an authority will help you streamline your digital marketing. Google recently made public their quality raters guide for 2015. In it they use an acronym (E-A-T) which stands for expertise, authoritativeness and trustworthiness. Essentially, for a website to get a high-quality rating, it has to have authors that have a certain level of expertise. Beyond expertise, they also need to have some level of authority status, which can be imparted by such things as being featured in the media or having a strong social media profile. In order to be trustworthy, they need to have decent reviews and a website with helpful content. If you are looking to grow your website presence and Google authority, these five tools can help you size up your competition and grow your brand. The amount of high-quality pages you have indexed in Google is going to partially determine how well you come up in search rankings. A simple way to see how many pages you have indexed in Google is to use an advanced search operator. Go to Google and search for site:yourdomain.com. Don’t put any spaces in the search. What comes back will be the amount of pages Google has crawled and listed in their index. If you want to easily put all of those indexed pages into a spreadsheet, you’ll need some software. Screaming Frog is a tool that can be used to download all of the page names/URL’s that exist on a website into a spreadsheet. This is important to do not only for your own site but for those of your competitors. Use Screaming Frog to download the list of website pages (called a sitemap) and then put each of them into a separate tab in Excel. I recommend starting with five competitors that come up in Google for keywords that you would like to rank for. Then you will want to scroll through each of the tabs and look at the names of the pages (URL’s), to get an idea of not only how much content each competitor has but how much content they have in various categories. When you put a URL into Screaming Frog and hit enter, there will be a long list of URL’s, including images and PDF’s. You can export this data, strip out things you don’t want and add it to your excel spreadsheet. The tabs at the bottom of Excel with your pages and the pages of your competitors will look like the image below. Make sure the very first tab in excel contains your own sitemap. The amount of high-quality links pointing at your site is another main factor that Google uses in its search algorithm for determining rankings. Ahrefs is my favorite link analysis tool and it’s easy to use. 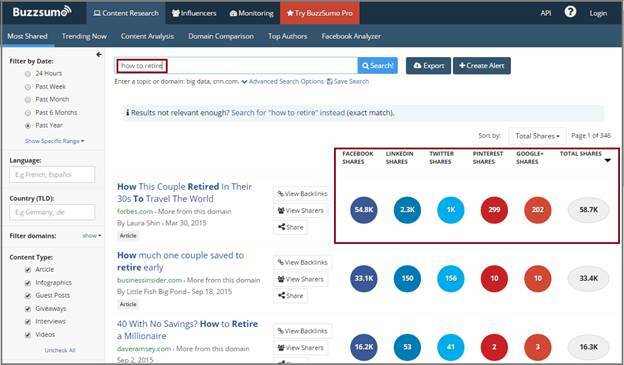 This tool will tell you how many people link to you and to your competitors. Simply insert your domain name into the search field and hit search. It will then tell you how many backlinks you have in total and how many referring domains. Focus on the referring domains because you might have many total backlinks from one website, such as in their footer links on every page, but these won’t really count any more than having one link. Check out the amount of referring domains for your site on five of your top competitors. Click the number under referring domains and it will take you to the list of backlinks to that site. If you click the letters DR it will sort them either by highest domain rank or lowest domain rank. The higher the score, the better the link. Look through the high domain rank links of your competitors, to find ideas of where you could do guest blog posts or find a way to get a link from the same site. Also make sure to sort by the lowest domain rank sites, to see if there are any very bad sites linking to you. If there are bad links, you will need to ask the site owners to remove them or use the Google disavow tool to let Google know you no longer would like to be associated with that site. Otherwise, if you have bad sites linking to you, you could have a Google Penguin problem and will lose authority. Google’s original patent called Page Rank, focuses primarily on judging websites based on how many high-quality sites link to them. There are a lot of factors that play into search results but having good quality links is still a very important part of the process. If you want to get ideas from who is writing content that gets shared a lot on social media, check out Buzz Sumo. Put a keyword into the search box and hit search. You will see the website pages on the left that get the most social shares and on the right, the amount of shares on each social network. If you want to get more advanced, you can look up the people that shared the content of each of these posts and email them with your similar content. Initially, you can just use the free search tool to get ideas on what content has done well. If you want to grow the amount of people that follow you on social media, it’s important to share content regularly, even if it is not your own. This is a form of content curation, where you are not writing content but being a good researcher and helping your community by sharing great resources. Buffer is an amazing social media tool that is incredibly easy to use and is great for helping you do just that. 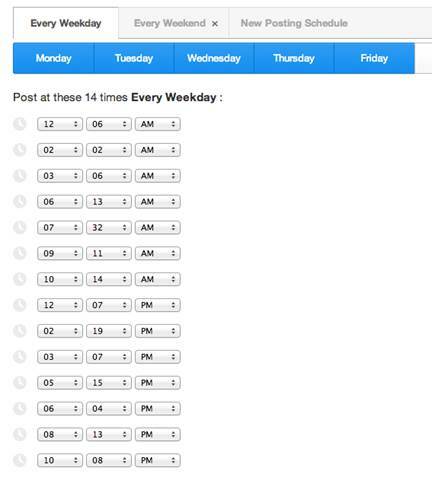 Basically you are going to be listing what social networks you want to share on and how many times a day to post. Buffer has a feed section that allows you to select blogs you read regularly and where you might like to share their content. Once you set the feeds, all you have to do is hit the ad to queue button and it will be stored and ready to go out according to your schedule. Here are more details on how to use buffer. SEMrush is a competitive analysis tool that lets you check out various success factors about your competitors search presence. Two of the main things I use are the organic keyword research and paid keyword sections. After you put in the website address of your competitor, hit search and then select the organic research positions tab on the left side. You will then see the number of keywords driving traffic, the amount of traffic to the website and the traffic cost. HubSpot in this example has 338,000 keywords driving traffic to their website. The traffic number is not very accurate because it does not rely directly on the analytics of the website, so I pretty much ignore that. The traffic cost is the amount of money you would’ve had to have spent to get the same visibility from those keywords through Google ads. You can also see the exact keywords that are driving traffic to your competitors and download them into Excel. I recommend using five competitors and also putting them separate into tabs, so they are all-in-one spreadsheet. By knowing the amount of pages you have compared your competitors, as well as the amount of backlinks and social shares, along with the specific keywords you can target, you can greatly speed up the rate at which you become an online authority. As you write website pages and blog posts containing the keywords you are targeting and then share them with your newly built social media following, you are sure to be on the right track to building lasting authority. What marketing tools do you use to expand your authority and search presence? 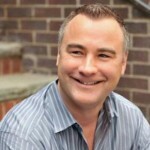 John McDougall is an authority marketing expert, the founder of McDougall Interactive, and author of Web Marketing on All Cylinders. To find out more about John and his business, visit McDougall Interactive. For the last several hundred Saturdays I’ve run a blog post post called Weekend Favs. The post consists of three finds I’ve made during the week that I like to share. I always get lots of positive feedback on this feature and consequently get lots of questions from people looking for resources and tools for running and growing their businesses. So, I decided to collect what I think is the best of the best of the key resources every business needs and categorize them by key areas of business. I’ve used all of these tools at some point and feel good about recommending each. The list does contain a few affiliate links with companies I’ve had a long standing relationship with, but that certainly was not a factor in the list’s make-up. In fact, many of the resources on the list don’t even have affiliate programs. The primary reason I’m sharing this list is to act as a resource for those that have asked. On the list you’ll find entries for customer targeting, CRM, email marketing, graphics and design, content creation, SEO, advertising, PR, video tools, social media, WordPress, web hosting, web tools, customer service, tracking, virtual assistance, online communications tools, finance and project management. Visit the Duct Tape Marketing Resource Directory here and feel free to make suggestions of your own in the comments.